Continuing the ongoing series of interviews on fantasy user interfaces, it gives me great pleasure to welcome Derek Frederickson of Twisted Media. In this interview Derek talks about his early days in mid-1990s experimenting with Flash on the web, the screen graphics work his company has been doing on numerous episodic cable shows in the last ten years, and the software tools he’s using and how he would like them see evolve in the future. In between and around, we talk about his work on the recently released “Independence Day: Resurgence” that bridges the world of 2016 with the alien technology left “behind” in the first installment in the franchise, as well as glimpses of Twisted Media’s work on the upcoming “The Space Between Us”. 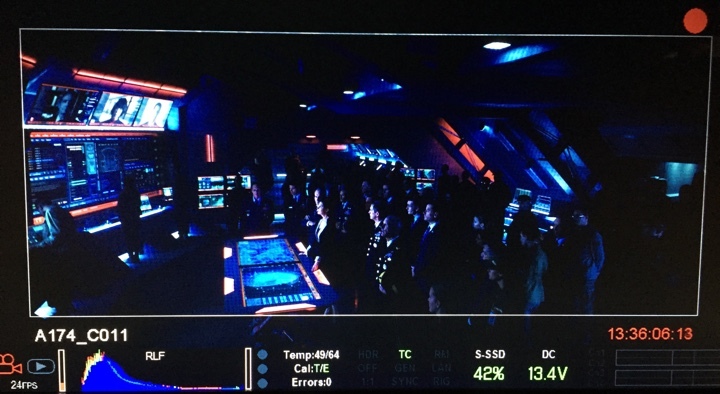 “Independence Day: Resurgence” Area 51 monitor test. Courtesy of Twisted Media. Kirill: Please tell us yourself and how you started in the field. Derek: I’ve been doing the things that I do today pretty much my whole life. I’ve always been interested in design, programming and animation…and that’s exactly what you need to able to do work in this field. Back in the early ’80s when I was in my single digits, I had a TI-99/4A. I went to school to study video production, and that helped with certain aspects of shooting, and understanding the whole flow of writing, capturing an image and editing. I was also a musician, so I have a lot of audio experience. These three things combined helped me ever since. In the early ’90s I was doing CD-ROMs, designing interfaces, interactions, movements – a combination of all of those elements. And that’s still what I do now. If we do a command center or some sequence on a phone, it’s an interactive thing. There’s an interesting thing about me deciding to name my company Twisted Media. It was just me, doing freelancing from time to time. And I got a random email from the assistant to Mark Franco who was the VFX producer that worked with Dean Devlin a lot. They were doing a show called “Leverage” and they were coming to Chicago, which is where I was living at the time, to do the show. And they literally saw the listing for my company in a creative directory and liked the name. They asked me if I could do graphics for a TV show, and I was so excited after looking up the list of productions they’ve worked on, that included Independence Day and Stargate. So I wrote back “Yes, I can” [laughs]. That’s how it started. When Dean interviewed me, he knew that I was new to that field. But he also knew that the stuff that I showed him was very close to it. He recognized that I could do what was needed. And when he asked me if I could do that, I told him that I had waited my entire life to do it. I’ve worked on a lot of productions since then, and I’m now back to working with Dean on “The Librarians”. Screen graphics for TV show “Powers”. Courtesy of Twisted Media. Kirill: If you look back at 2007 when you started working on “Leverage” and your work since then, do you see any big changes in what productions expect from what you do? Derek: It depends on what kind of a show it is. If it’s a show that takes place today, there’s been such a huge shift in our everyday lives. You look around, and no matter where you are, people are looking at their devices. So for these shows, art is imitating life. There’s an interesting difference between the shows back then and the shows that are made now. 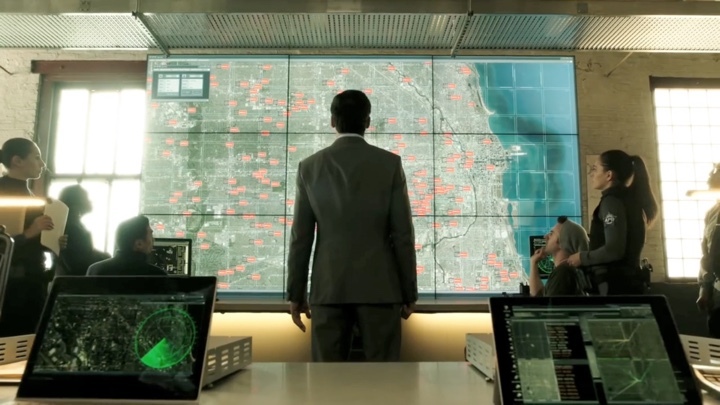 A lot of these shows deal with the world of social media, where you can track somebody’s activity based on what they posted on Facebook. These things are mature and established, so there’s not much creative design or inventing how it looks. There’s still work to be done, but it’s such a mature playground now. Everyone sort of knows what it looks like. We know the interfaces of Facebook and Instagram and Twitter. They are well-established. You are asked to show a character being on a social media, but it can’t be the actual thing. It is limiting, because we all know how that “looks like”. It’s not reinventing the wheel, but rather coming up with a creative way to do it. And oftentimes it looks a little weird. It’s just text on the white background [laughs]. We grew up with this in the last decade or so. This affects everyone’s lives. Consequently, when you design for it, you can’t take the viewer out of the moment and you have to take those well-established elements. You have to work with the parameters of what has come before and has been accepted. Screen graphics for TV show “Scorpion”. Courtesy of Twisted Media. Kirill: Is that due to production restrictions of not being able to use those branding elements without explicit permission from that company? Derek: The clearance department is always the bane of our existence. They have to look at everything. You can’t use real usernames, for example. Everything that we make is fake. Oftentimes we call it Fakebook, because it can’t really be Facebook. We do work for “Empire” that has a lot of music gear. There’s a program that they use, and it looks a lot like ProTools, but it’s not. It’s FauxTools [laughs]. Everything has to be vetted. The design of it is copyrighted and owned property. In a sense, working on something like “Independence Day” is so liberating. It’s not in a real world, and you can explore and make something, and it has nothing to do with today. You’re really creating a new world, and that’s where you can stretch your wings and do some neat stuff. 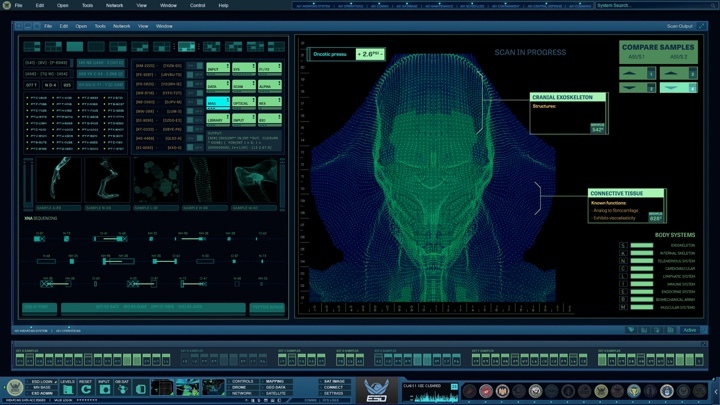 “Independence Day: Resurgence” alien biology research, head, interface. Courtesy of Twisted Media. Kirill: You said that everybody is on their devices all the time. There are so many screens in our lives, and we’re so used to that presence. Does it make your job more challenging as far as creating something unique, something that we haven’t seen yet for your productions? Derek: That’s the challenge. We’ve touched a little bit on this before. It depends on the type of show. Some of them are in the actual present, and some of them are in a different world that has about the same amount of technology. When you don’t have to accommodate an existing paradigm, you can invent your own. And that’s the fun. My least favorite shows are when people are just texting, and Googling, and Facebooking. The most interesting shows have alien interfaces and futuristic fusion drive designs with a lot more creative latitude. 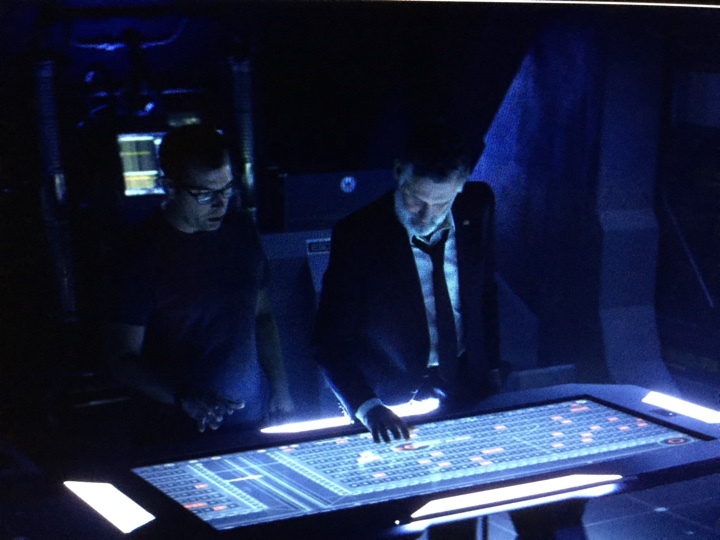 “Independence Day: Resurgence” Jeff Goldblum looking at the alien holographic interface. Courtesy of Twisted Media. Kirill: Staying with your TV shows, what is the pace there? Do you work on the entire season, or is it broken into individual episodes and the screens each one needs? Derek: Let’s pick an ideal show where we work on the pilot. There’s much more creative input that goes into the pilot because it guides the ship. One of our big shows right now is APB that will be on Fox early next year. It’s about a tech guy taking over a police precinct. You’re trying to come up with the look of his interfaces. What are people looking at in the new bullpen of that police department? They’re not pulling up a Microsoft Word police report, but instead they’re doing something cool. So what is that? That is when a lot of the creative gets decided. It is ten times the amount of design time for the pilot than it would be on a typical episode where you’re working with that design, by and large. Big board with screen graphics on “APB”. Courtesy of Twisted Media. There are always new things. The way it works on most network shows, there are eight days of prep and eight days of shooting. And while you’re shooting, you’re prepping the next one. You get a script on day one, and you have the concept meeting where everybody talks about the various elements in the show. That eight days is when you’re making whatever it is that you’re going to make. Everyone is in the same boat. The script doesn’t just show up on day one, but the production draft that you can actually start working with shows up pretty much when you start prepping. There’s not a whole lot of advance time. It’s a weekly marathon, especially on big TV shows. Suddenly you see that you’re going to have three mission controls in the next episode [laughs], and then you think about how you’re going to come up with fifty different screens in eight days. One of the things that I like about my team is that when we all have to do that, everybody jumps on that project. I’ve been very lucky to pull together a team of incredible talent. Even within this realm, there are not that many people that are good at interface design. There are lots of people who are good at motion graphics, or at graphic design in general, but this is a very weird and specific talent. When I find people who are good at that, I tell them “Come play with us” [laughs]. We have a really great team, and it’s taken me a while to build it up. I’ve decided to keep the band together. A lot of companies don’t have employees that do what we do. The work goes up and down, and I’m trying to even that out for everyone, and create a team that stays and grows together. We’re going into year three of having a nice team. We did “Independence Day”. About two years ago we did “Geostorm” which will come out sometime next year. We did that movie with Warner Bros where I met Chris Kiefer, and worked with us on “Independence Day” as well. He and I hang out every once in a while. It’s fun to talk about what we do, and to have someone who understands what you do so intimately. It is a really specific animal. It’s nice to have the team. It’s a small universe, and it’s pretty special when you can work together. 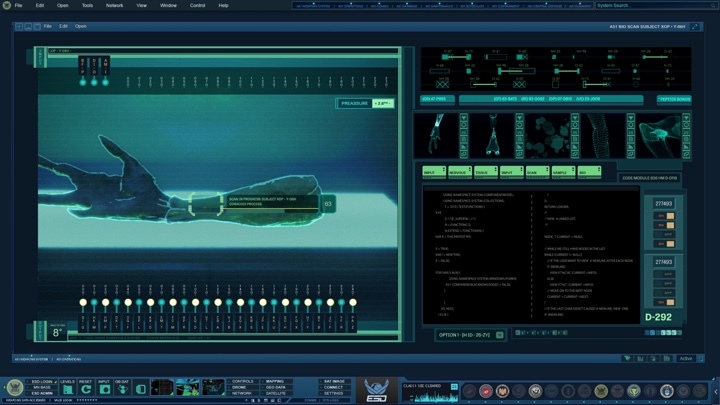 “Independence Day: Resurgence” alien biology research, hand, interface. Courtesy of Twisted Media. Kirill: Bringing you back to that compressed schedule on your TV shows and feature films, is there ever such a thing that the production comes to you with what they need, and you say “No”? Derek: I wouldn’t be very good at my job if I said that [laughs]. We all manage to make it work. Things happen all the time. For example, schedules shift. “Independence Day” started off on a 16-week shooting schedule, and out of that we had 78 days with playback. Almost every day some of our graphics were on the set. It is incredible amount of work every day. On a production like that, you’re planning things. So you’re thinking that they’ll start shooting the Moon base in two months, and you think you have all that time. But then some other set is not ready, and they tell you that they’re going to move the Moon base by a month. Now it becomes an emergency. And regardless of the amount of prep that you have, it’s never enough, especially on big productions. Also, everything that you make is a prototype. Everything that you make is the first time that it’s been put together. This is something that Rick Whitfield from Warner Bros told me, and it stuck with me. You create everything for that one thing, and then it goes away. If they’re done shooting it, the next day all that work that they might have spent months on is gone. It’s almost unnerving how quickly things go away once they’re done shooting. Consequently, you’re doing a lot of things for the first, and in general, the only time. That makes every day unique and challenging, and regardless of what you’ve been asked to do, you make it happen. You always do the best you can do, and with any luck, you’ve got enough time to pull in who you need and spend that time making it happen. Some things are easy, and some require a very deep dive to get the level of detail and subtlety of animations. 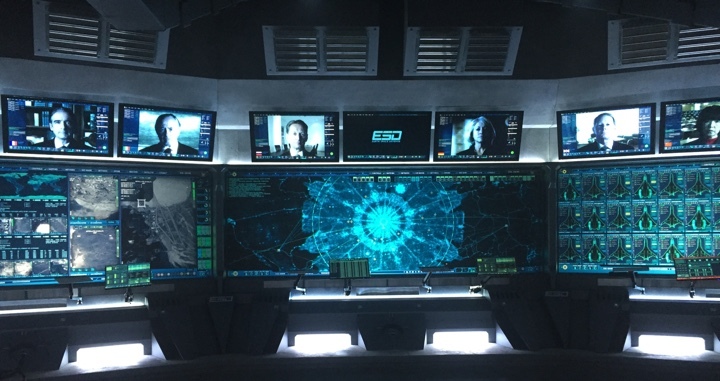 “Independence Day: Resurgence” Area 51 director’s monitor. Courtesy of Twisted Media. Kirill: What’s the scope of what you do? Derek: I love my job. I design and I do the bulk of our programming. We have a proprietary playback system that we use for networks and computers that I’ve developed. I do art direction to keep the team in line. And for big things I do go on set. I was there every day all day on “Independence Day”, doing a lot of my work from the set. Now that we’re getting a little bit bigger, I do specific types of design that I’m good at, and other people divide up what we need to do and figure out who’s the best person to do the particular pieces. They do a much better job that I ever could [laughs] and I’m happy to spread it around. 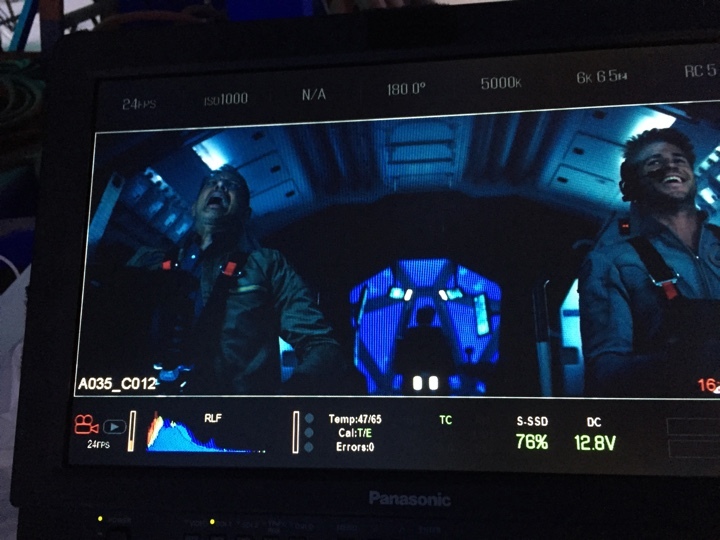 “Independence Day: Resurgence” Jeff Goldblum and Liam Hemsworth on the set of Moon tug. Courtesy of Twisted Media. Kirill: If we’re talking about “Independence Day”, what kind of discussions did you have around the world of technology that has evolved in the twenty years since the original movie? 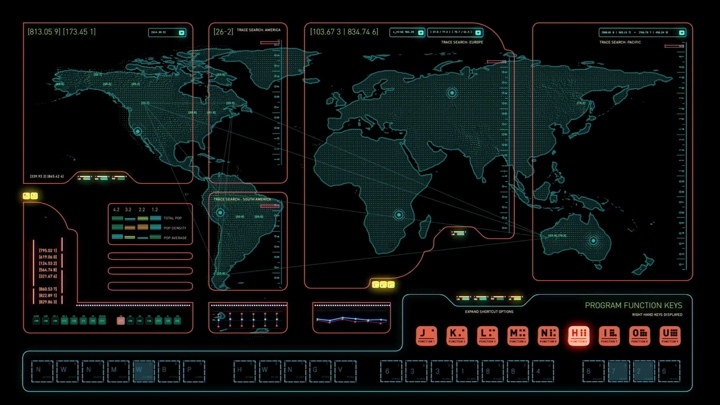 Who participated in those discussions and how did that inform the screen graphics for the interfaces of that technology? The level of the production was so huge, and we made so much more than went into the final cut. I had the unique experience to be involved from the pre-production where you’re just concepting about what should be. You start talking about the world that would be if we had these extra things. What would we be able to do? What would that look like? How would it behave? All sorts of things come into play. What you ultimately want is for people to believe in it. If you look at what is happening, you have to believe that whatever is happening is real to that world. That’s the most important thing that we do, regardless of whether it’s sci-fi or police drama happening today. And then, in the case of a Roland Emmerich movie, it has to look cool [laughs]. That is easy to do if you have the right designers working on what they love to do best, and that was pretty easy on that movie. 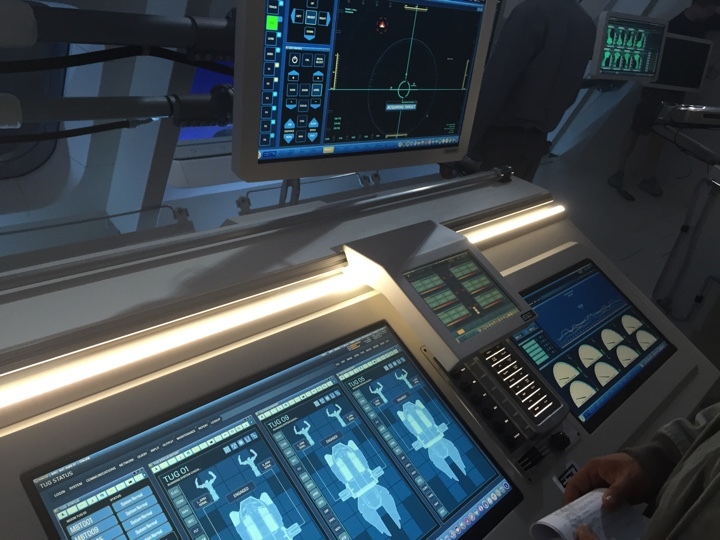 “Independence Day: Resurgence” Moon base screens. Courtesy of Twisted Media. 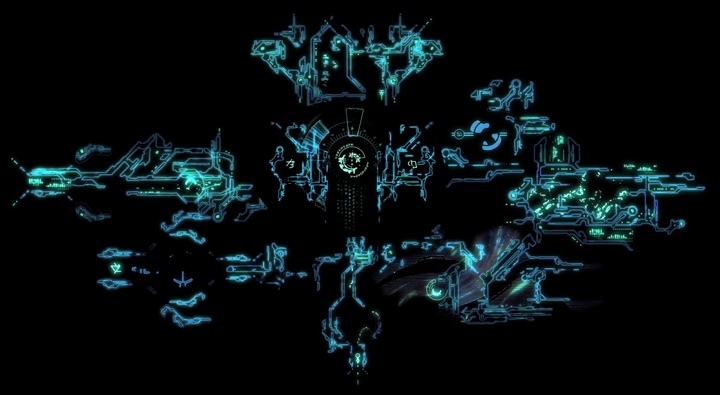 Kirill: Maybe it was because the story was confined to government and military facilities, but what I found interesting was that the vast majority of the “human” interfaces were on these hard fixed rectangles. I look at the Marvel universe and it has holograms, floating 3D shapes, translucency and transparent everywhere. But in “Independence Day” it’s very much like what we have now in 2016 around us on our desks. Derek: For better or worse, that was something that production design wanted. If you compare it to other universes, they take a creative advantage with what it could look like. It was not a budget decision to not make holograms. Every shot in that movie was a VFX shot in one way or another. That was definitely a conversation at the beginning that we keep it grounded in some way. I would have liked to take it further, but you work with what you have [laughs]. “Independence Day: Resurgence” Area 51 monitors. Courtesy of Twisted Media. 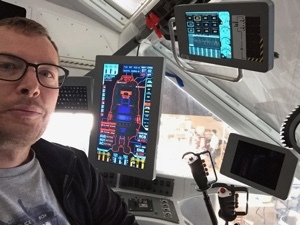 Kirill: If you look at the main control center in Area 51, there are so many screens in it. How do you design for such an expansive set? How do you translate, if you will, what you see on your desktop monitors to a much more wider canvas? Derek: Part of it has to do with imagining what needs to happen on that set. We had 30-foot wide projection screens, normal 16×9 monitors and two tables with touch screens on them. I designed interactive elements for those two tables, where you could touch and move stuff around. A lot of the specific things didn’t make it to the final cut, but we developed a lot of them. You come up with the basic look. Then you figure out how what would the different people in that center need to look at. You have the commanders, operations, firing control and others. You go through those made-up departments, because you’re doing something similar to a NASA mission control. Also, it gives you different things to work on creatively. If someone is focusing on where things are, and someone else is focusing on how they are working and what they are doing, that gives you extra creative fodder. Kirill: Do you think about how glanceable certain elements are not for that general in that command center, but for me as a viewer? Derek: Absolutely. And a lot of it has to do with the so-called movie alert system [laughs]. Everyone wants it to be big, red and blinking. If you’re working on a real computer and something’s wrong, it’s never going to be red and blinking, and it’s certainly never in the middle of the screen. If you’re getting an alert, it’s a 12-point type up in the corner. But you only have something like 1.2 seconds for the audience to tag whatever that is. So it has to be big, red and blinking in order for that to have weight. It’s not ideal, and a certain point it’s almost a joke. We try to avoid it at all costs, but them someone says “They are not going to see that”. So you move it to the middle, and make it big, red and blinking. Kirill: As much as you and I would like these interfaces to stay true to what we have on real computer systems, I’d imagine that your first priority is to support the story. Derek: Most of the time you just need to pound home whatever it is that is happening [laughs]. It becomes the most interesting way to have a big red blinking box on the screen. 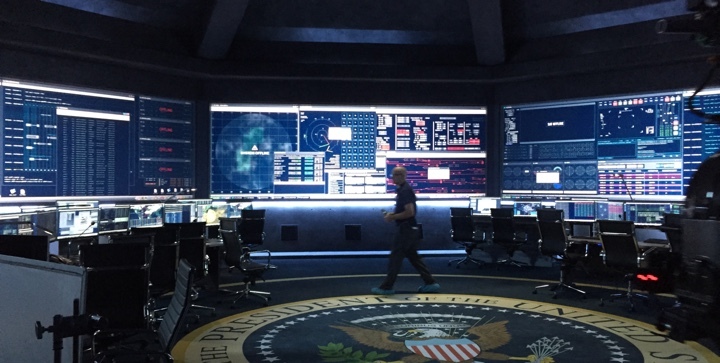 “Independence Day: Resurgence” Cheyenne Mountain set. Courtesy of Twisted Media. Kirill: What are your thoughts on the color blue that is dominating so many futuristic interfaces in movies and TV shows? Derek: It really depends on the director. When we started on that movie, we tried to break out of it and to expand the palette. You have some ideas and you present them, and then they tell you what they want to see. Like when we spoke about Facebook or Twitter, very frequently there’s an established look. You can break out of it and it sometimes works. There are certain things that you can get away with, and it depends on how the movie is shot. If you look at a frame of “Independence Day”, it is just blue and black. That’s the color palette of the whole movie, so our palette is the subset of what is being shot. They were developing that look, and we were seeing how our screens looked within the LUT [lookup table] on the camera. They were coming up with how everything was going to look. There was a lot of back-and-forth on that, and trying to push some boundaries. In the end you go with what works best and what makes them the happiest. 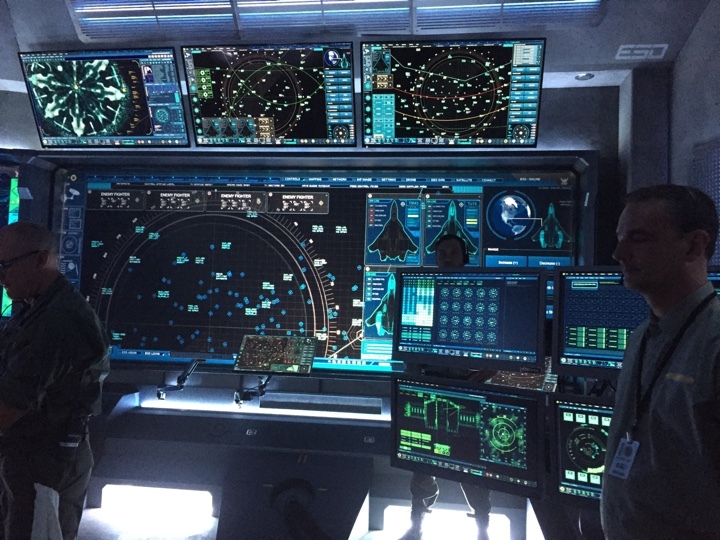 “Independence Day: Resurgence” Derek showing graphics to Bill Pullman on set. Courtesy of Twisted Media. Kirill: The interfaces that I see in movies are very complex, and almost too overloaded with texts, widgets, graphs and additional elements. And on the other hand, if I look at the mobile devices around us, there’s an almost opposite trend to strip away visual complexity and to simplify the presentation of the data. Derek: You have the consumer user interface, and then you have the professional user interface. Consumer user interface does indeed have the trend of simplifying and flattening things. But if I look at my screen right now, I have Adobe AfterEffects behind my Skype window. It is a very dense and a very complicated interface, with a lot of details and variations. In a sense, it really depends on what we’re doing. Among the things I designed on “Independence Day” was an integration with Moon milk, when they are in the cafeteria and one of them gets his little box of milk. That was part of the integration with that company where they wanted us to show him getting that product. That interface is very simple, just exactly the opposite of that complexity you’re talking about. “The Space Between Us”, Mission Control docking interface. Courtesy of Twisted Media. Another movie that we worked on is coming out in December. It’s called “The Space Between Us“, and part of that movie is happening on Mars. 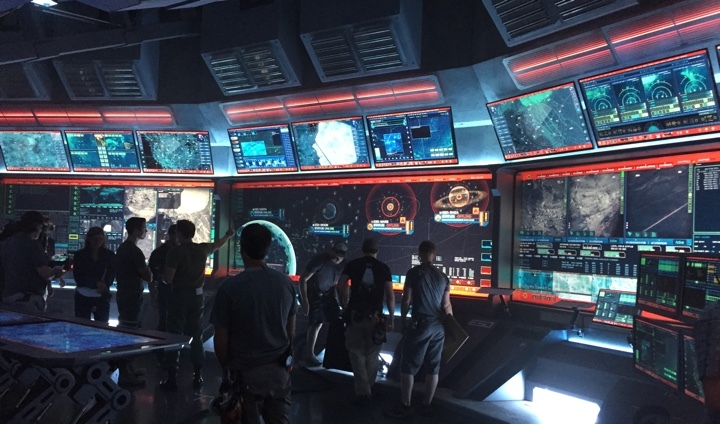 There is some really interesting interface work that we did for Asa Butterfield’s character and the Mars base. It’s not super sci-fi, even though roughly half of the movie happens on Mars. 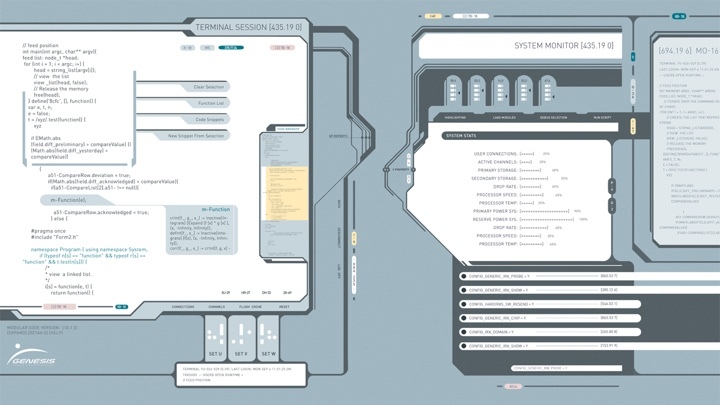 At least part of those interfaces looks like what consumer interface would look like in the future. It really depends on the show. Roland Emmerich likes density and complexity, and when something happens, it should go red. That’s what you need to give to him, and you give it to him in the best way possible. It’s great, and it looks wonderful. And what we did for the Mars interfaces on “The Space Between Us” we used the color palette from that camera. 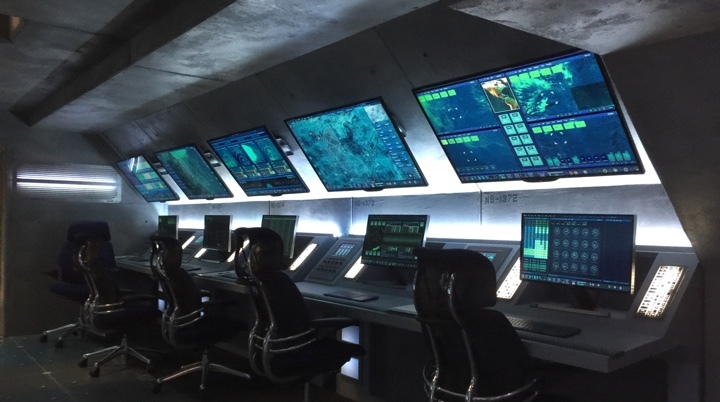 We’ve worked with the production designer Kirk M. Petruccelli who did “Geostorm” as well, taking into account all those elements that come together to form the final frame. We didn’t have to be in the blue world, and we didn’t want to be. I think it ended up being really interesting and very different. I hope you enjoy it when it comes out. It’s a very touching story, and I’m looking forward to it. 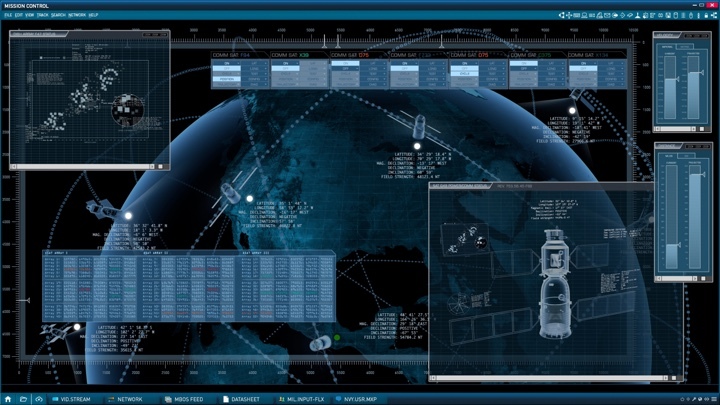 “The Space Between Us”, Mission Control interface. Courtesy of Twisted Media. Kirill: Bringing you back to “Independence Day” and the alien interfaces in it, there was the interface of the “benevolent” white sphere, and the interfaces of the “malevolent” harvester mothership. How do you approach designing a system that was not “made” by humans? Derek: There were VFX shots for that sphere, with the holographic elements floating around it. We helped a bit with a few of those, but they were done by a different company. Ours were when you see her point of view, with a bunch of things happening in them. We definitely took a different approach with the alien interfaces. A lot of initial designs took the elements that you saw in the first movie. Some of it has to be interpreted through the lens of Roland that felt restricted by what could be done back then. It was so long ago, and a lot of things back then were not as standard as they are now. That first movie had Mac OS 7 or something like that. It was so long ago, and we’ve seen so many things since then. “Independence Day: Resurgence” alien holographic elements. Courtesy of Twisted Media. 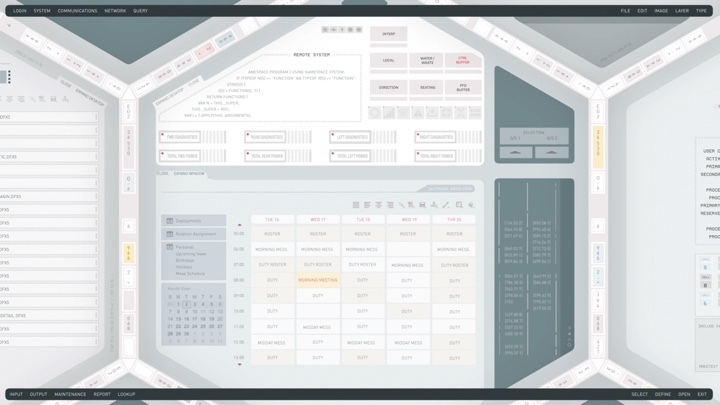 We talked about the visual language for the alien interfaces. Then we were creating elements for those holograms, spending a lot of time on how it moved and what those little widgets were. It turned out to be absolutely beautiful, and most of it didn’t end up in the movie [laughs]. They are telling the story in the best way they can, and some things are not as important as others. There was a lot of effort put into the queen’s holographic interface to be easily distinguishable from what that AI was seeing. At one point there was a version of the story where the AI had played a part in creating the alien race , so there was overlap there. We ended up going a different route, but it’s funny when you work on something like this and you see how it evolves. You see the final cut, and something that is omitted that was there in the original script gives the entire story a different meaning. I think that the AI interface looks closer to the aliens that it would had we never had that story line be a part of our reality for a bit. It’s interesting. “Independence Day: Resurgence” AI point of view visual effects shot. Courtesy of Twisted Media. Kirill: The original “Independence Day” was made 20 years ago, and some of the technological bits may have aged not as gracefully as others. Do you worry how the work that you do now will be perceived in 15-20 years? Derek: It’s an interesting question. I hope that the part that sticks is that it looks believable and appropriate for the story right now, and that down the road it stays that way. I hope that in 20 years we’ve moved forward in ways that are unexpected, that you can’t imagine or predict. There are certain movies that are ahead of their time. “Minority Report” showed us a holographic visual interface that was years ahead of its time. Even now there are only glimmers that we could be interacting with a computer like that. We have tech that can detect movement, but are we actually using it to effectively interact that with a computer? There are things that are starting to be practical and put into everyday use, but you still have a mouse. “The Space Between Us”, Mars interface. Courtesy of Twisted Media. Kirill: When you meet somebody you’ve never met before, and they ask you what you do, what do you tell them? Derek: Usually I just say that I do graphics for TV and film. That’s an understatement because that’s not all I do. I say that if someone’s interacting with a computer, I make what’s on that computer. Some of the more real-world things, if you do your job right, are transparent. You are making it look real and believable. Kirill: It blends into the background of the story and not a lot of people look specifically at what you did. Derek: Right. They’re looking at it, but they are not looking at it [laughs]. “The Space Between Us”, Mars base hacking interface. Courtesy of Twisted Media. Kirill: What are your thoughts on the term Fantasy UIs? Derek: You have to use some word to describe it. Fantasy? Fake? It’s real in the sense that you’re looking at it. I don’t think there is a totally perfect word for that, but something like “appropriately believable and cool UI” covers it pretty well. Kirill: Moving into the world of the real technology for the last few questions, how often do you find yourself fighting, to to speak, with the software tools you use for your job? Are you happy with the tools you have right now? Derek on the Moon tug set. Derek: I don’t fight a whole lot with the things I’m good at. If you reduce it down to a painter and a brush, once you’ve been painting for 10,000 hours, you know every nuance of what you want to do, and the brush becomes an extension of you. There are a lot of tools that I use that feel very much like that, because I’ve been doing this for a long time. It’s Photoshop, Illustrator, AfterEffects, Adobe Animate, Cinema4D – those are my main tools, and I do like their interfaces. Looking to the future, I would love a touch version of the Mac. Right at the moment, I can’t work on an iPad. There are no applications. It’s starting to happen, but the tools that I really need are not there. There is a lot of crossover happening between MacOS and iOS, and at a certain point I hope they become the same thing, and we have touch interface on everything. I do love interacting with the objects more directly, with a finger instead of a mouse. That’s something that I would definitely like to see evolve. That type of interaction is why people like their touch-based phones and tablets. I would like to see those core tools that I use be there. The technology is there, so I’m hoping it’s just a matter of time. “Independence Day: Resurgence” Area 51 screen test. Courtesy of Twisted Media. 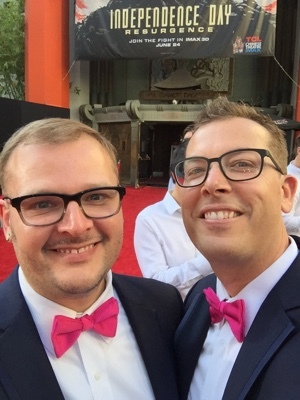 And here I’d like to thank Derek Frederickson for finding time in his busy schedule to talk with me about his work, and for sharing the supporting materials for the interview. You can see more of the work that Twisted Media has been doing in the last ten years on their main website. “Independence Day: Resurgence” is out now on BluRay and other physical and digital formats. “The Space Between Us” will be in theaters later this year, and “Geostorm” will be out in 2017. And if you’re interested to read additional interviews about the wonderful world of screen graphics and user interfaces for film and TV, click here for more.